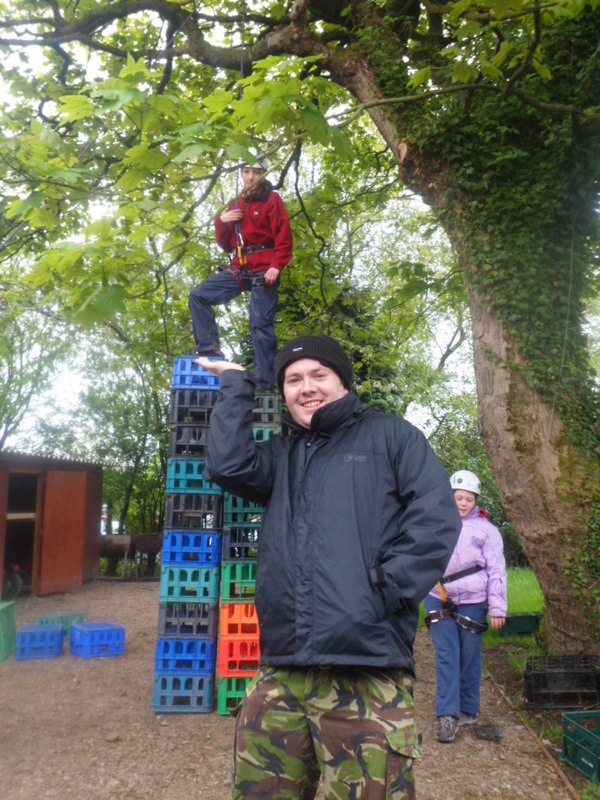 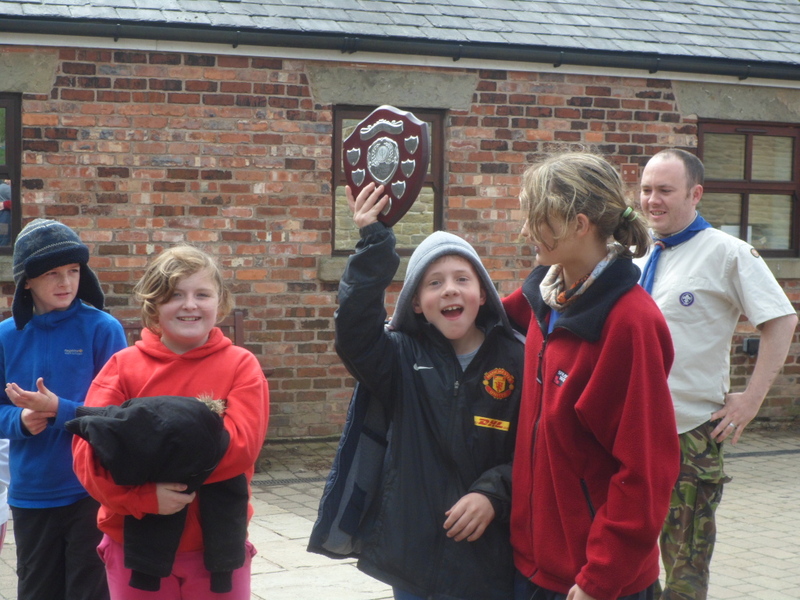 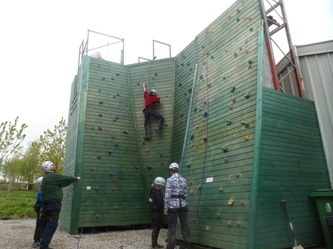 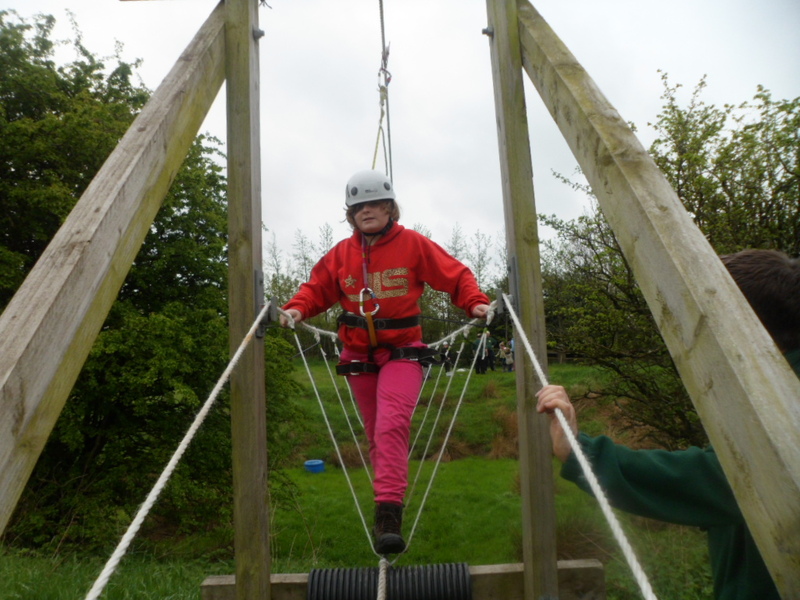 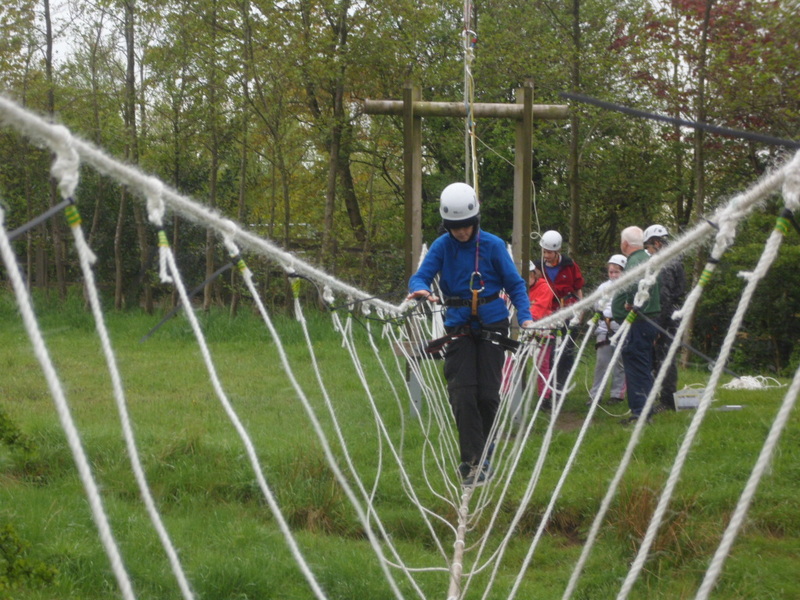 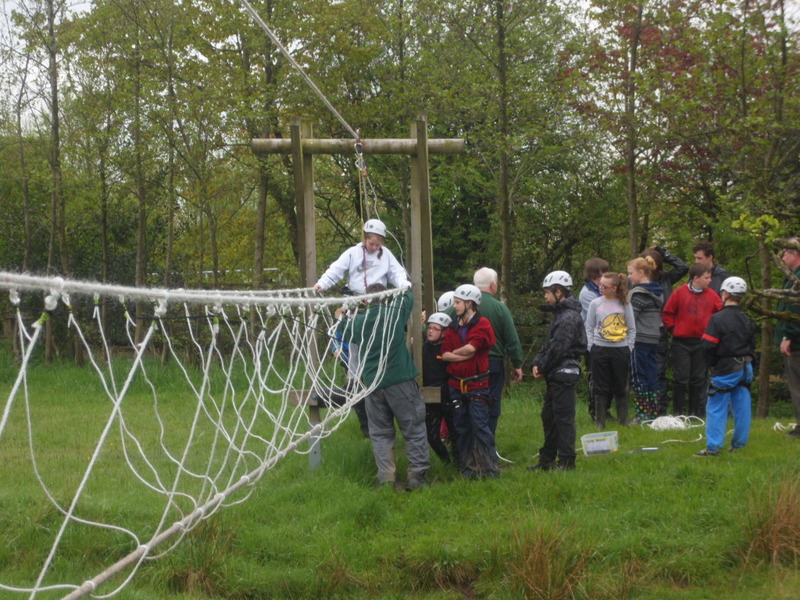 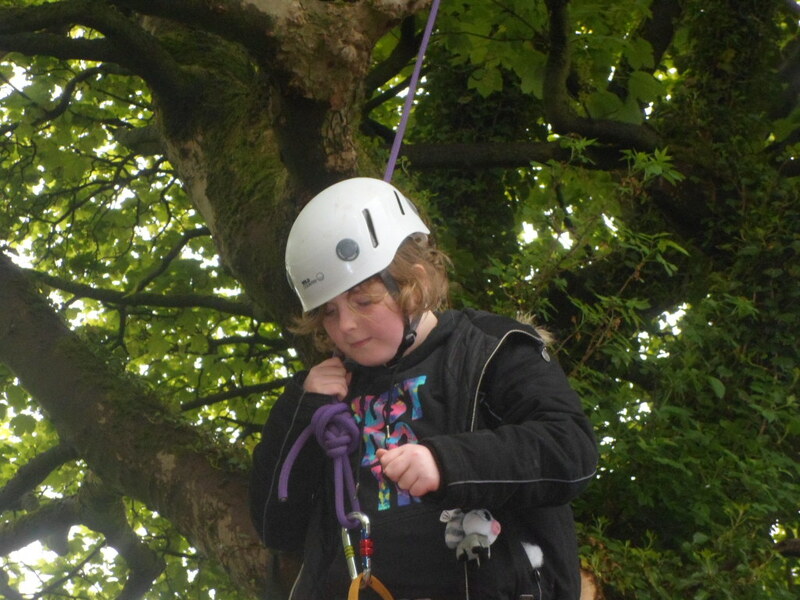 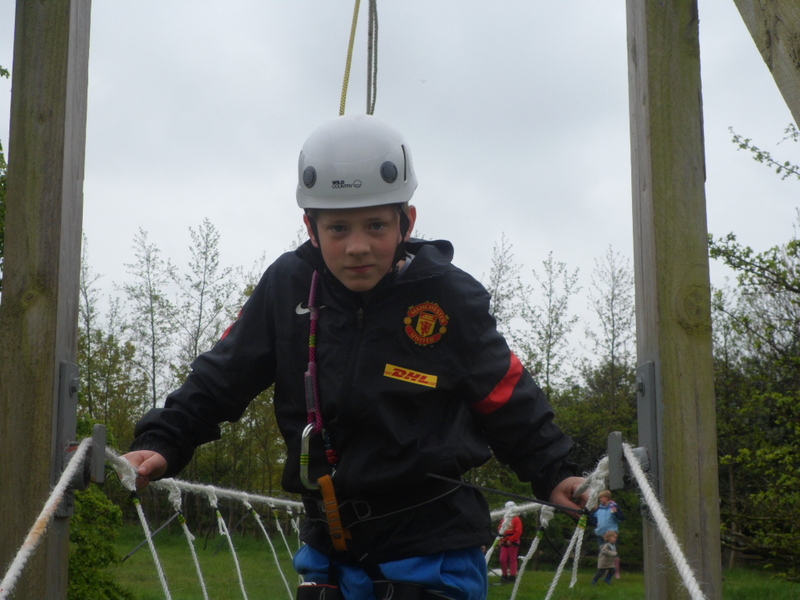 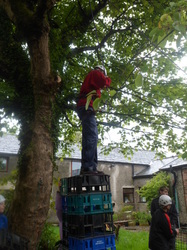 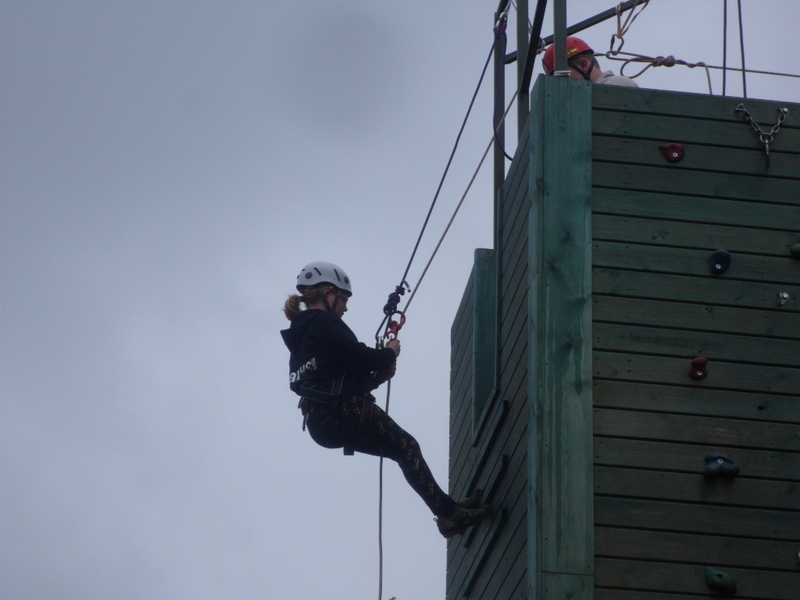 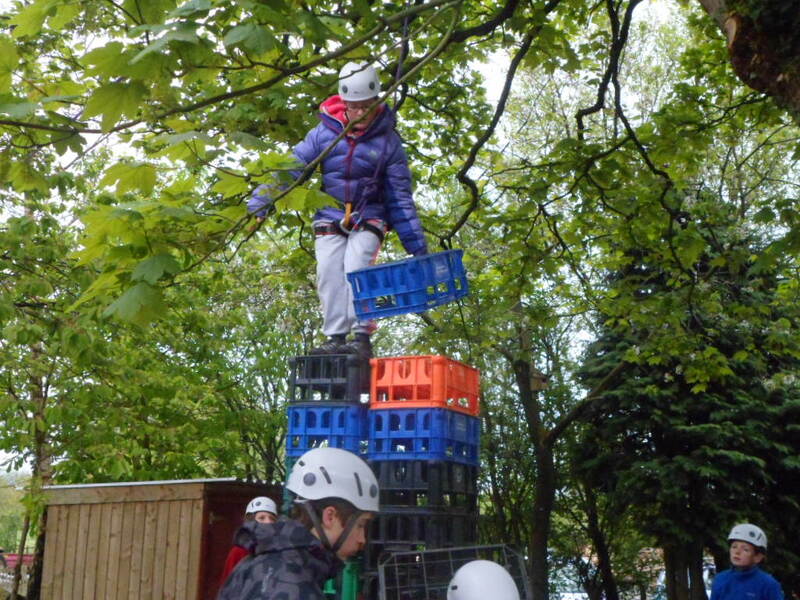 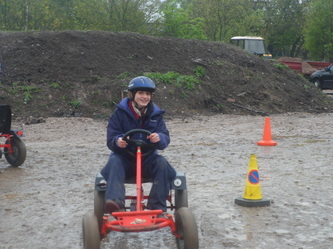 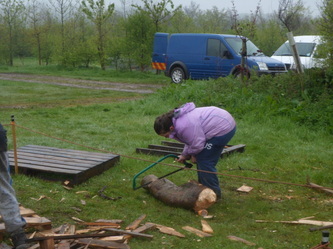 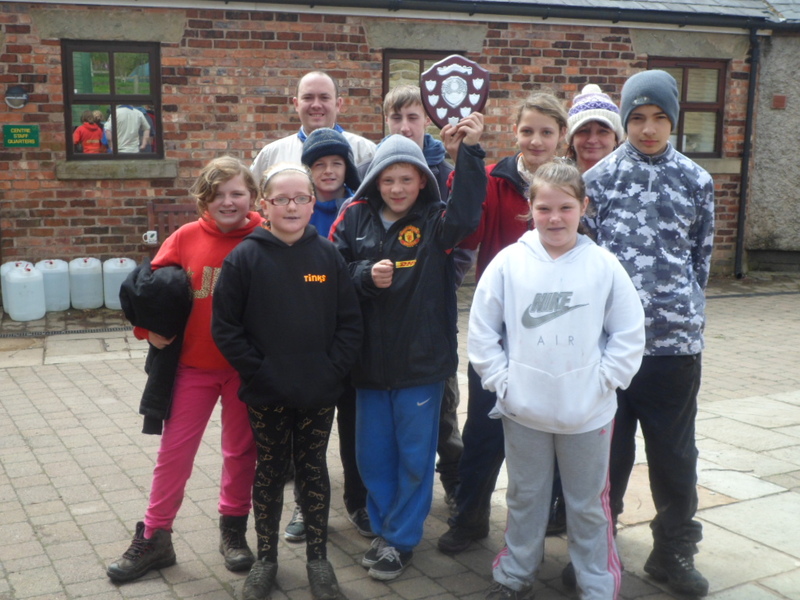 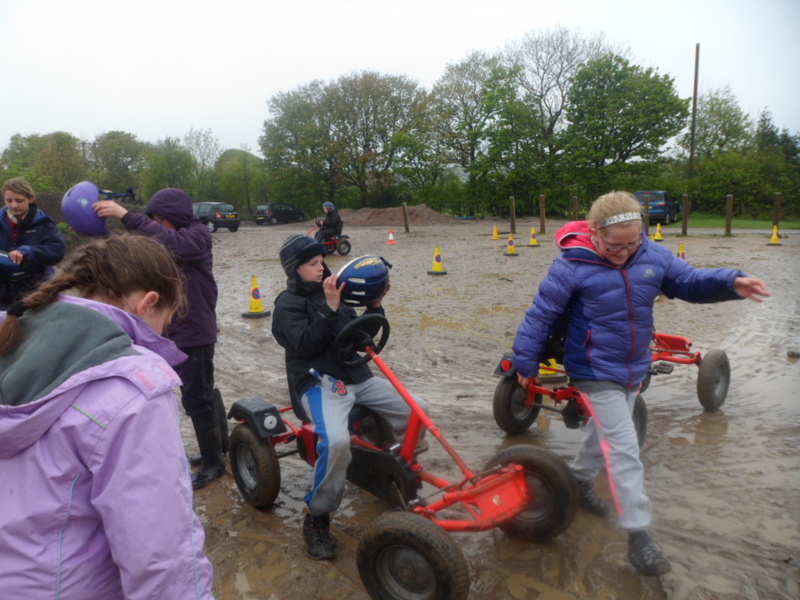 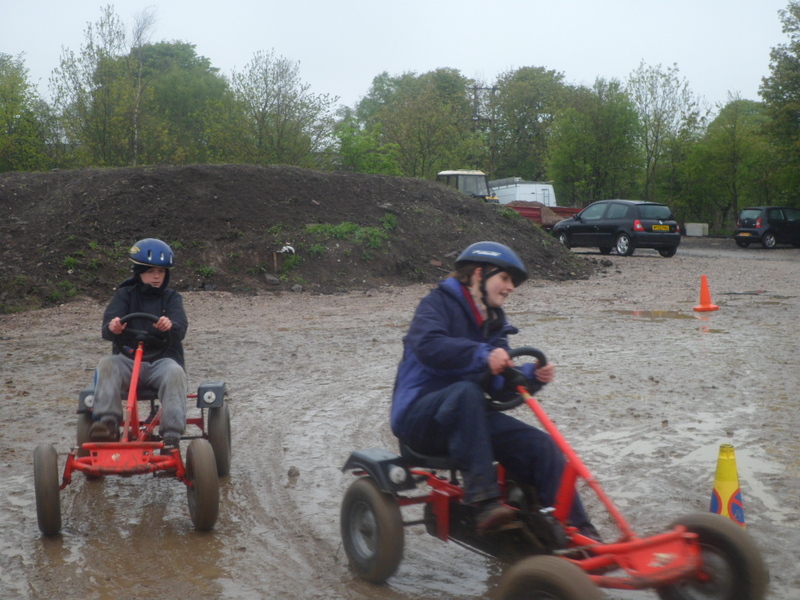 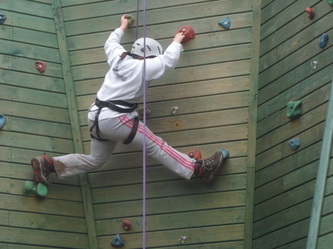 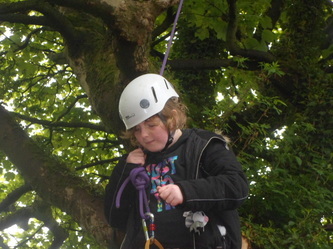 A team of 6 Scouts entered the Bibbys Farm Super Patrol Challenge, competing in climbing, go-karting, shooting, archery, crate stacking and low ropes and won. Another trophy to add to our virtual trophy cabinet! See Iain's report below. 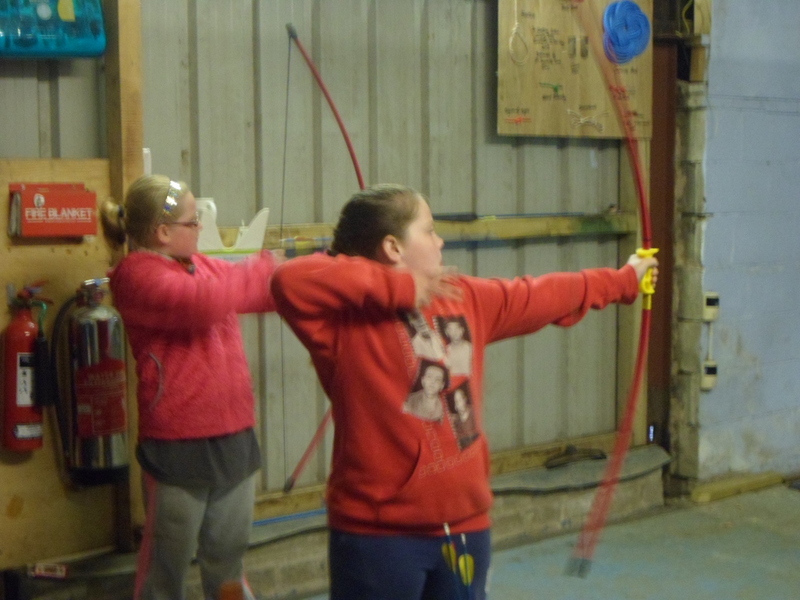 The Scouts led by Carys all turned in at 10pm with leaders following not long after with the patter of the rain helping us all drift off to sleep. Saturday morning we were all up early Lucie was the first up at 7am with the rest of the scouts following not long after, once all up we all started cooking breakfast bacon and sausage, this was woofed down then all scouts were eager to get the days activities started, it was refreshing from the leaders point of view to not have to tell them what to do, it just got done. 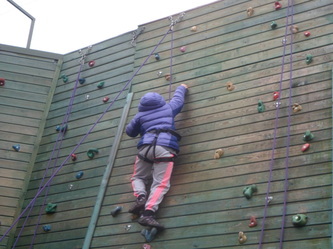 First activity was rock climbing. 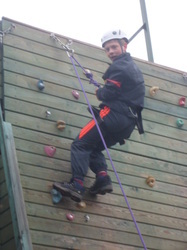 All scouts were timed up the wall, this is where Remey came into his own, James the instructor was pushed to one side whilst Remey instructed the scouts in the safe usage of harnesses and ropes even belaying the whole team up and down the face (under constant supervision,obviously). After lunch we all went onto the shooting ranges, 3 of the scouts were about to take part in their "master at arms"badge although all took part, we have a few sharp shooters in the making, even the leaders took part in their little leaders competition. 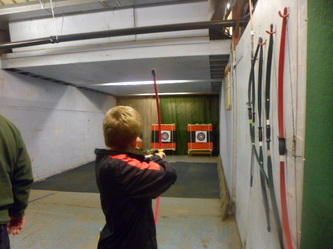 This was followed by a session on the archery range. 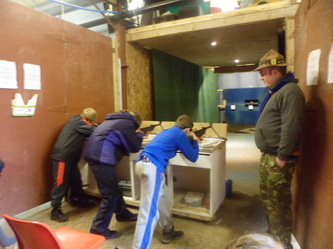 We then had our chicken parcels but whist cooking these we had another troop came over who could not start their fire due to the wet weather. Upon hearing this we showed true Scout spirit with all the troop going over to help to assist, our Scouts even telling them to go over to our fire to warm up. In the evening the habitual game of man hunt took place and we even had a visit from our GSL who wanted to camp that night! 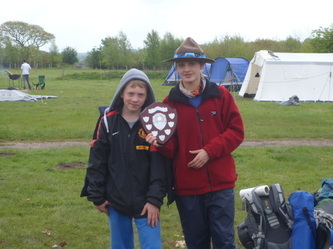 sunday morning we all got up late at 07.30, got breakfast on and cooked then off for the morning activities but not until I bumped in to Matt's teachers who were all camping on the other field!